Whether accessed via a smartphone, tablet or laptop computer, your website is a powerful branding tool that speaks volumes to prospects and residents alike. Lenders, too, visit websites to check out all aspects of specific apartment communities in the portfolio, as well as the owner’s web page. The sophistication of your graphic design and photography and how you portray amenities, lifestyle and resident services are key. So are speed, ease of navigation and, interestingly, neighborhood data that can help lenders form a long-term view of a particular asset. Due diligence will also include a look at what comes up during Google web searches and what sort of comments have been posted on apartment rating sites. It may start with an evaluation of your web presence, but lenders are also increasingly looking at the overall technology picture when making decisions. Simply put, they are more willing to take a risk on those operators that have embraced technology. The apartment owner with a robust platform has more time and money to spend on the asset. This competitive edge translates into greater operational efficencies, better maintained and higher-quality apartment assets, and the ability to reduce operating expenses—all of which result in your on-site teams having more time to lease apartments and find other revenue streams. 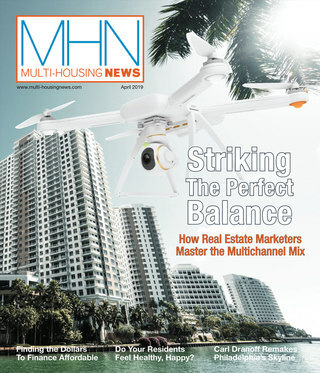 This month’s issue of MHN includes a special focus on finance. Energy-efficient retrofits have been taking place for quite some time, but the lending community has been slow to recognize projected boosts to NOI resulting from energy-saving measures not yet implemented. Executive Editor Keat Foong takes a look at how private institutions are beginning to change their thinking on this matter (“Green Bucks”). 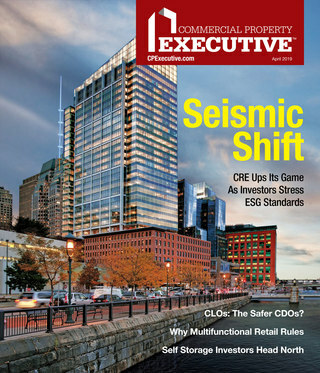 And don’t miss MHN’s capital markets update (“Finance Feature”), risk management report (“Property Management”) and research compiled by Senior Associate Editor Michael Ratliff and Research Editor Jack Kern (“Top Mortgage Banking Firms”). We also invite you to tune in to MHN Radio with Michael and Jack for a detailed look at the changing nature of mortgage banking, as well as the challenges and opportunities the apartment industry is likely to face in 2013.